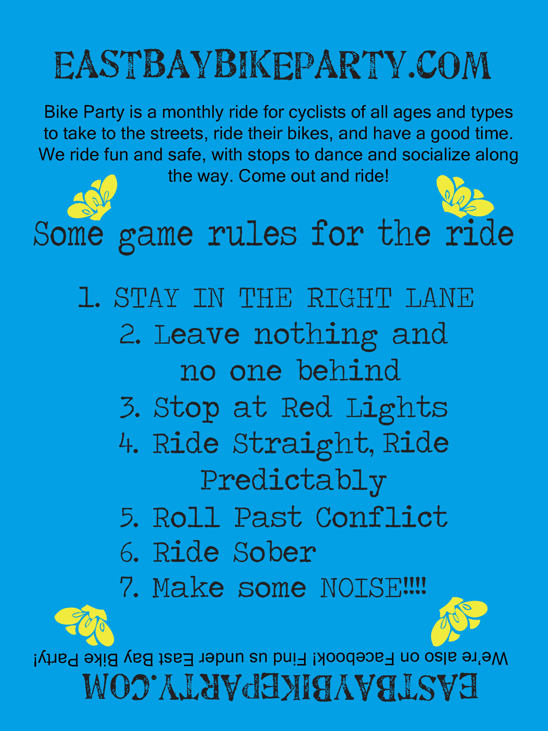 Please let me know when the next bike party will be. How many people usually will show up? What kind of speed do you guys roll at? We average about 8 mph (if not a little less). The rides are also about 12 miles (with at least one party stop). The idea is to have a social ‘cruise’ where people can ride easily. We also try to alert people if the ride is going to have any hilly spots.